Grave marker for Pfc. 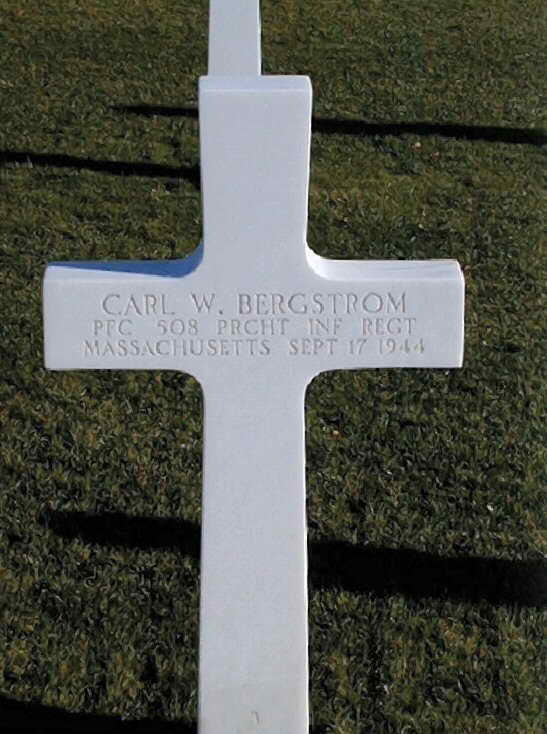 Carl Walter Bergstrom at Plot F Row 2 Grave 6 in Margraten American Cemetery, Holland. Pfc. Bergstrom was killed in action on September 17, 1944 and was awarded the Purple Heart.